Our 1 hour brief airboat tour on a smaller boat, this tour gives you a brief look at the everglades eco system.. Email us today to make a reservation for this tour. Includes hearing protection for all riders. Our private 2 hour airboat tour package is very popular and gives you the time to experience all that the everglades has to offer. 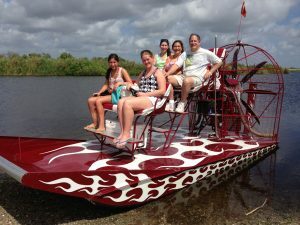 This airboat tour is one on one, just your group or couples with the captain for 2 hour in the back country. 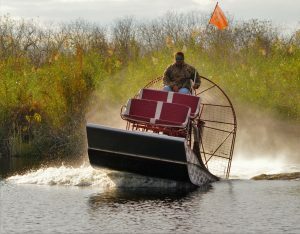 You must reserve this airboat ride with us prior to taking the trip in the everglades by email. Multiple photo opportunities and wildlife encounters. Come Experience an airboat ride in Parkland Florida today, Loxahatchee Everglades tours are fun for the entire family call us today for a exciting Everglades airboat tour in Loxahatchee, We provide everglades airboat rides for familys, couples or corporate groups. The Florida everglades airboat tour is a must when in Parkland Florida. Call or email us today for a tour that you will not soon forget.